They didn’t come with hate in their hearts, or wearing vulgar pink hats and give speeches that were somewhere between incoherent and threatening. They came to march with love in their hearts to defend the un-defendable, the unborn. 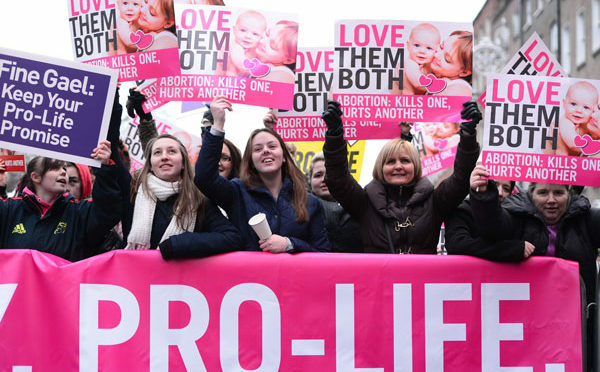 For more than four decades, regardless of weather conditions, men and women, young and old, and students come to give voice to the right to life and to peacefully demonstrate their beliefs in strong numbers. They gather on the National Mall and march to the Supreme Court to give voice for those babies that have perished and send a message to end this scourge on our society. For the first time a sitting Vice President attended and addressed the Pro-Life rally. VP Pence addressed the hundreds of thousands one week after taking office saying, “Life is winning in America.” When you reflect on this statement it is actually startling. When did life start losing in America? Well, we know the story goes back to the 1973 Supreme Court decision of Roe vs. Wade where abortion was legalized. Since 1973, there have been over 50 million abortions in the United States. Think about that number; 50,000,000 lives extinguished before they even got their first breathe. I’ve always thought, my goodness, America is so much better than this. How did we get to this dark, selfish place that we toss away the innocent? What does 50 million lives terminated before they begin represent? About 1/6th of the current US population; there is nothing to celebrate here. America is better than this and it is time that we find our better nature. Something we can all pray about. Strong cause. Refreshing post reminding all that demonstrations can be unified…and civil. I find it hypocritical that so many opposed the death penalty – reserved for the most egregious crimes, but support, Roe v. Wade and the slaughter of innocents.